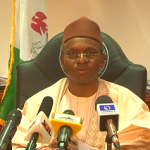 Students of tertiary institutions in Southern Kaduna, northwest Nigeria have appealed governor Nasir El-Rufai ro reopen their schools in three weeks or face their wrath following a prolonged closure of the schools. In a press statement, the students under the umbrella of the Southern Kaduna Youth and Students Forum, SKYSFOM, jointly signed by its President and Secretary, Comrade Galadima Jesse and Comrade Ezekiel David appealed to the governor to stop listening to evil advices and make Kaduna Great Again as promised. “As a result of this injustice and our readiness to salvage the future of our youths and state, we give the Kaduna State government, 3 weeks for the purpose and sanctity of the month of Ramadan, to reopened the above mentioned schools to avoid facing the wrath of the students. “It is quiet disheartening that education which is supposed to be the pathway to making Kaduna state and any nation great is deliberately crippled and raped by its preachers in the state for reasons that may be best known to maybe only one man, His Excellency, Mallam Nasiru El-Rufai. “The college of education Gidan Waya/Kafanchan, College of Nursing, Kafanchan and the Kaduna State University, kafanchan campus have suffered various degree of direct and technical closure, and some are still under closure. “The continuous closure of this schools, is not only encouraging under-qualified graduates from every field, it is an affront on the future wellbeing of our members. “We are therefore calling on various professional bodies, College of Education Academics Staff Union, COEASU, National Association of Nigerian Nurses and Midwifery, NANNM, Academic Staff Union of Universities, ASUU, other relevant bodies and well meaning individuals to rise and add their voices against this potential professional murder. “We also want to add that if this case is not addressed, we are afraid that by or before the end of this administration Kaduna state may lose it value as the“Centre of Learning”, under the watch of the administration that dares to make Kaduna state great again. What do you think awaits the society and Nigeria when in a year or two over 4000 quack teachers, 300 quack nurses and over 500 quack engineers are being graduated to the society. “We therefore call on every living soul in Kaduna State to push for the reopening of our closed schools.We are all aware that in the recent history of crises in Kaduna State or the herdsmen attacks in Southern Kaduna, none of the schools have ever been attacked or any of their students killed or injured. 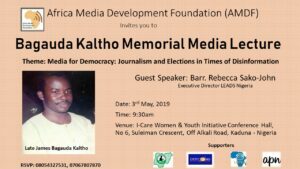 “If you could recall, when the 2011 post – elections escalated to its peak, Nuhu Bamalli Polytechnic was attacked, a lecturer and few students were killed and raped on campus by hoodlums. It took military intervention to calm the scene. After the calm the then state government under the leadership of Sir Ibrahim Patrick Yakowa of his blessed memory never closed down the schools. Rather, he requested for the deployment of soldiers on campus so that students could still go about their studies peacefully with security guaranteed. “Yet, it was said that Yakowa’s administration did not put premium on education like the present one convinced us both during its campaign and during its inauguration. If some other negative motive is not intended for our students, we expect the same or even more formidable presence of the military in the closed schools. “Also, it is common knowledge that despite the series of recent attacks on the under University of Maiduguri campus precisely on the 16th January, 2017, 13th May, 2017, 18th and 19th May 2017, that led to the death of an erudite scholar Professor Aliyu Mani and several others, the school was never closed till date. 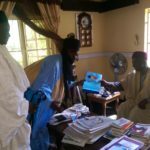 “On the 4th of may 2017, the leadership of NAKASS, NAZASS, NANS, and other leaders of students from the affected institutions were invited to the government house Kaduna for a meeting with the Secretary to the state government, commissioner of Education among other top Kaduna state government functionaries, upon the request of the student to know why their schools were technically closed according to the student leaders, the one cogent reason given to them was that the closure were for somesecurity reasons but the officials of government present during the meeting assured them that government is on top of the situation. “We considered that quiet impressive and a demonstration of concern and responsibility on the part of the state government. However, is the government is insensitive not to consider the risk involve for primary and secondary students who are on session? The adult and children who are more porous to danger should there be any? bearing in mind that these institutions are in the heart of Kafanchan. “If the government is so concern about the security of our students, why then is Nuhu Bamali polytechnic Samaru Kataf on session? Why is the Federal School of Statistics Manchok on session? Were they not part of troubled zone in southern Kaduna? (Zango Kataf and Kaura local government area) whatever is worth doing is worth doing well. “We commend the effort of the Nigerian army under the leadership of Lt. Gen. Tukur Buratai for effectively combing the forest and communities of southern Kaduna and getting rid of those bandits. “In our opinion, if Kaduna state government through any of its officer still try to justify the closure of those institutions with security reasons we see it as the highest level of ingratitude on the part of the Kaduna state government and a discredit to the competence of Nigerian Army. “Thus, we want to unequivocally say that the state government owe the Nigerian Army a public apology. On our part we give two Gbosa to the Nigerian Army.Every idle and unengaged mind is a fertile breeding ground for any form of vices. “The various institutions have been at home for as long as 10 months(KSCOE) Gidan waya/ kafanchan, four months, college of nursing and midwifery kafanchan, without any proposed date of return known to the students by any formal or informal means. “This has led the students to fall victims of various social vices affecting the society and in a long run thequality of leaders we may have for Kaduna state and Nigeria. We wish to remind you that these students whose parents are widows, peasant farmers and pensioners have laboured hard to raise money for their children fees and the student paid for the services they did not or are not enjoying. “We want to kindly call on our governor never to allow himself to be tossed by the wind of evildoers to make him dance to their tune by making a decision against his initial wish of making Kaduna state great again.Otherwise the dream of making Kaduna state great again will remain an illusion if not worse than then. “As a result of this injustice and our readiness to salvage the future of our youths and State, we give the Kaduna State Government, 3 weeks for the purpose and sanctity of the month of Ramadan, to reopened the above mentioned schools to avoid facing the wrath of the students,” the students explained.